PUBG Mobile is easily one of the most popular games at the moment and has amassed a massive fan following. The game has been receiving monthly updates which bring along new and exciting features. A couple of months ago, the developers’ of the game created a crossover event with Resident Evil 2 and introduced the new Zombie Survival mode with a few new exclusive weapons such as the Flamethrower and the Mini-gun. 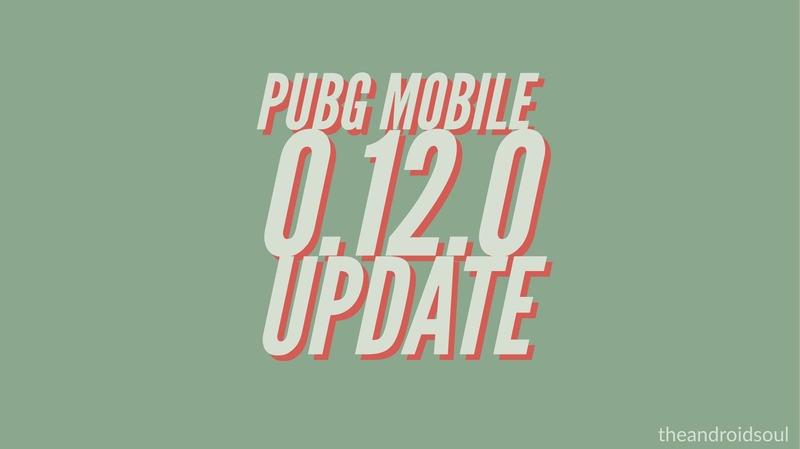 The game has now received the 0.12.0 update which brings along a few more exciting changes. There are several new additions to the game such as an all-new Darkest Night mode which players have to survive an entire night fighting zombies and the teams alive at dawn win the game. This new update also brings along the much-needed fix for the automatic door opening glitch that got on the nerves of almost all PUBG players for a couple of months. The Survive Till Dawn mode also has a few new weapons such as the Nitrogen Grenade and the RPG-7 weapon. The update is currently available on the Google Play Store for users to download and weighs in just under 500MB. The portable closet option is now available in a match as well hence users would be able to change their outfits later on in the game. You can now also spectate your friends who are already in matches although there’s an option to disable the feature. You can also choose to hide tier information from spectators via the settings menu. Lastly, there’s a new Spring Theme added to the menu.